Several weeks ago I described the golf swing in two pieces. I said if I could describe the swing in one piece I’d let you know. Well, here it is. The title of this post is it: two turns and a swish, credited to legendary teacher John Jacobs. But what does that phrase mean? That part isn’t so easy. 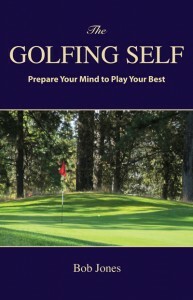 From Jacobs we go to Jim Flick and his book with the most to-the-point title ever, On Golf. 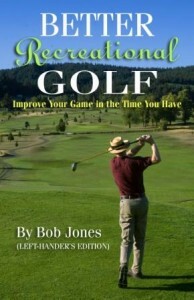 In this book, Flick makes the clear statement that the golf swing is composed of turning motions and swinging motions. They are different, and are performed by different parts of the body. Some parts turn, other parts swing. The turning elements are the shoulders, torso, hips, legs, knees, and feet. The swinging elements are the club, the mind, the fingers and hands, the wrists, the forearms, the elbows, and the upper arms and shoulder sockets (in which the upper arms turn). He makes the key point that the turning elements support and respond to the swinging elements. Swinging comes first, turning comes second. Let’s move to Manuel de la Torre, who refines this concept in his book, Understanding the Golf Swing. He says (writing in broad terms) the hands produce the backswing, and the arms produce the forward swing. On that second point, he uses the anatomical definition of the arm, which is the upper limb from the elbow to the shoulder. The limb from the elbow to the wrist is the forearm, and that is not used to produce the forward swing. de la Torre says the body turn takes place in response to the swing, and says nothing more about it. As far as the weight shift goes, which you hear about so much, the swing will produce it. Both instructors are in firm agreement that the underlying concept in all of this is that what is swung is the club, not any body part. The club. Centrifugal force will build up the necessary speed by the moment of impact. By not forcing things at this critical instant, the swinging and turning elements integrate. So there you have it: two turns and a swish (swing). Part of the body turns, part of it swings. Get those two parts straightened out and you’re on your way to hitting beautiful golf shots. If you’re a regular reader of this blog, you’re a golf reader. (Not everybody is.) You might have more than a few golf books at home, too. Nothing wrong with that. I have several score. These are the ones I have found to be most useful in teaching technique, diagnosing problems, and just plain having fun with golf. On Learning Golf, by Percy Boomer, 1946. The original book on how to be a feel player. This book still has influence. Advanced Golf, by Vivien Saunders, 1995. Saunders goes into detail on points that barely get mentioned in popular instruction books. Once you get the hang of the basic swing, this is how you elevate it. Golf Doctor, by John Jacobs (also published as Curing Faults for Weekend Golfers), 1979. Jacobs describes twenty-five errant shot patterns, explains why they happen, and tells what to do about them, in detail that no other book even approaches. Whatever is going wrong, it’s in here. The Elements of Scoring, by Raymond Floyd, 1998. This is absolutely the best book there is on both the mental game and the art of getting the ball in the hole. The Complete Golfer, Herbert Warren Wind, ed., 1954. Great fun. Fiction, humor, memoirs, history, instruction, and fold-out maps of great courses. 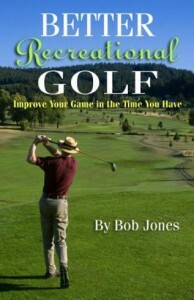 This book is for people who realize there was golf before Tiger Woods, or even Palmer, Player, and Nicklaus, or want want to find out about it. The Golf Swing, by Cary Middlecoff, 1974. Play Golf the Wright Way, by Mickey Wright, 1990. The Short Way to Lower Scoring, by Paul Runyan, 1979. A Golfer’s Education, by Darren Kilfara, 2001. How to Play Golf on the Low 120’s, by Stephen Baker, 1962.